Joe Kutchera is a digital marketing and content advisor, working with clients including The BBC, Flipboard, Hanley-Wood, Health Net, Mattel, MotionPoint, AgroAmerica and The Valentine Museum. 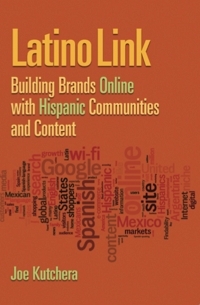 He is founder and managing partner of Latino Link Advisors where he develops content strategies for social media, oftentimes with an emphasis in reaching the Hispanic/Latin American markets. 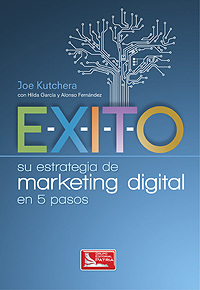 Joe is the author of three books including Faces of a Fish Empire, E-X-I-T-O: Su estrategia de marketing digital en 5 pasos, and Latino Link: Building Brands Online with Hispanic Communities and Content. He has been featured on ABC News, Advertising Age, BBC Mundo, CNN en español, Entrepreneur.com, The Financial Times, The Milwaukee Journal Sentinel, and Telemundo. During his nine-year tenure at Time Warner, Joe built such web properties as Warner Bros. Online, ThisOldHouse.com, and CNNMoney. 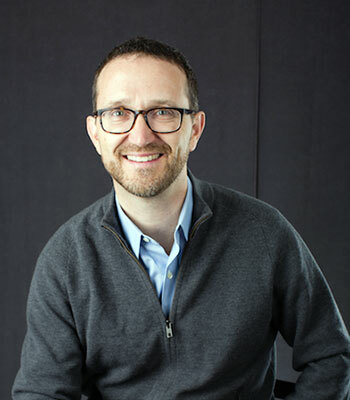 During his last two years at the company, Joe started the digital ad sales team for Grupo Expansion in Mexico City (acquired by Time Inc. in 2005), launching the web sites for Chilango, Quien,and CNNExpansion, the largest business news site in Mexico. 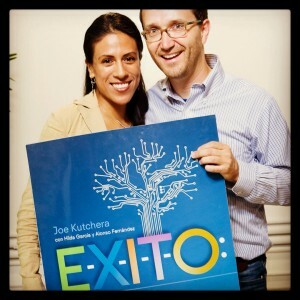 In 2008, Joe moved to ContextWeb (now PulsePoint) where he launched its Spanish-language ad network for U.S. Hispanics and opened its Mexico City office as its Director of Spanish-Language Markets. Subsequently, Joe served as the Director of Digital Marketing at Acento Advertising before founding Latino Link Advisors. Joe writes for The Huffington Post and previously contributed to Fox News Latino, MediaPost and iMediaConnection. He has a BA from Macalester College, an MBA from Fordham University and has served as a board member for the Interactive Advertising Bureau (IAB) Mexico and as a member of the Hispanic Committee for the IAB in the U.S. Contact Joe here and see the details of Joe’s professional experience on LinkedIn. I suppose I was destined to become a “Gringo Latino.” My parents met in a university Spanish class, honeymooned in Mexico, and nine months later, yours truly was born. And even though we lived in a suburb of Milwaukee, Wisconsin – a place best known for beer and bratwurst, Harleys and Happy Days— my parents imparted my brother, sister and I with a global perspective and a special interest in Latin American food and culture. For one of my sister’s birthdays in grade school, we had a piñata and guests from Mexico. We vacationed as a family in Mexico City, Acapulco, and Cozumel. I learned about the ancient Mayan civilization while scaling the steps of the pyramid at Chichén Itzá and exploring the ruins of Tulum on the Yucatán peninsula during my 8th grade spring break. I studied Spanish throughout middle and high school and played the saxophone in reggae and ska bands, thus informing me about the cultures of the Caribbean. During college, I volunteered one summer in Quito, Ecuador at El Centro del Muchacho Trabajador (the Working Boys Center), and the following year spent a month learning about Liberation Theology in Mexico City. I graduated from Macalester College with a degree in English Literature. Yet, my favorite novel among the numerous books that I studied was “One Hundred Years of Solitude,” by the Nobel Prize-winning Colombian author Gabriel García Márquez. I yearned to discover the land of my ancestors – The Czech Republic – and live abroad. (“Kutchera” means “curly hair” in Czech.) I applied to teach English at a high school in Northern Bohemia without a clue of how to do so, but was accepted because of my “expertise” in the English language. Concurrently, I freelanced at Prognosis, an English-language newspaper in Prague, writing occasional articles, which later evolved into a full-time position selling advertising, after finishing my year teaching. 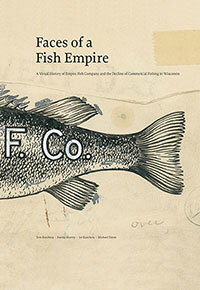 I returned to my hometown of Milwaukee to work with my father and grandfather in the family business – Empire Fish – where I sold seafood to local restaurateurs who hailed from around the world – Mexico, Greece, China, Peru, Thailand, and Poland. (Ironically perhaps, my interest in international business expanded exponentially in America’s heartland.) On weekends, I reviewed the latest books from emerging Czech and Latin American authors for the Milwaukee Journal-Sentinel and wrote about jazz music for The Shepherd-Express. I left the Dairy State to join the Global MBA program at Fordham University in New York City and spent my summer internship working at Hewitt Associates in San Juan Puerto Rico, where (by night) I learned salsa dancing and the music of Ismael Rivera, Héctor Lavoe, Willie Colón and Rubén Blades. By the time I graduated from business school, I had traveled, studied and/or worked in Mexico, Ecuador, Puerto Rico and Spain. Nevertheless, I continued to expand my knowledge by studying Spanish at the Instituto Cervantes and taking Salsa dancing lessons. In 2011, I met my (now) wife while waiting for a flight to Mexico City in the airport at LAX. Lulu grew up in Mexico City, studied food science at University, worked at PepsiCo in Mexico for many years and today works for Sabra Dipping Company, maker of hummus, salsa and guacamole. 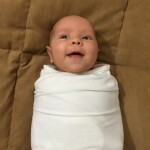 In March 2015, we welcomed our healthy, happy “little burrito,” into the world. Today, I continue to perfect my Spanish, with Lulu’s help, and am gradually learning Portuguese. It’s always a pleasure to meet new people who share the same interests. Please send me an email via my contact page to say Hola.